Waking up with a stiff neck and painful shoulders is not a great way to start your day. The pain can leave you cranky the whole day and affect your productivity, too. Changing your pillows is a solution to reduce your chances of waking up with a stiff neck every day. But do not choose just about any pillow. Make sure they are genuine and high-quality organic pillows that can help improve the quality of your sleep and enhance your health and well-being. Organic bed pillows are made of different materials, including organic cotton, natural Dunlop rubber, kapok tree pod, and carded wool, so you should be able to find appropriate replacements to your current lousy pillows. Organic cotton pillows are incredibly soft, so they make you feel as if your head is resting on a fluffy cloud. The best ones are made with long staple organic cotton batting, and you may like the material for its ability to hold its form much longer than wool, and the way it becomes harder and slimmer over time. If you always want to keep it soft, consider changing them every two years. When buying organic bed pillows, notice that some may have a zippered soft organic sateen casing, so you can easily add more filling. 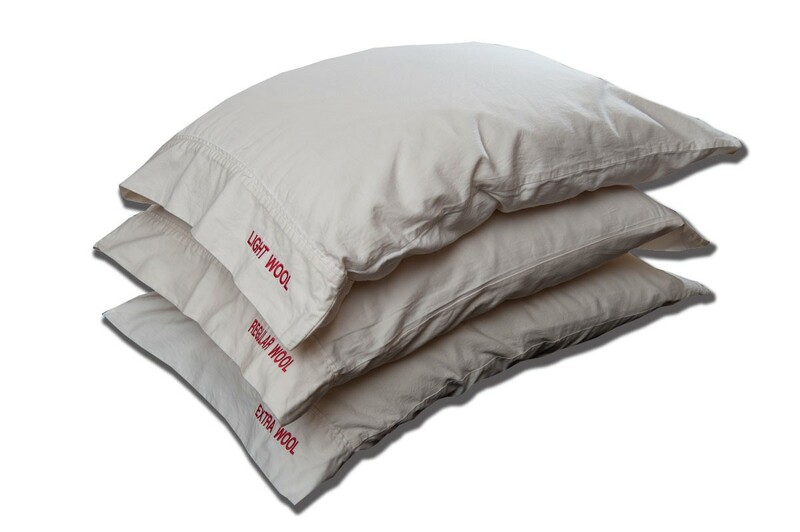 Kapok pillows are great alternatives to down pillows. Kapok comes from the pods of the kapok tree, and the fibers look like silk. Reputable manufacturers of kapok organic pillows transform the fibers into soft and luxurious pillows, with a zippered cover so you can easily add or remove kapok and fluff it up or down as you please. These pillows provide a soothing air-like feel, without giving you allergies, making them ideal if you are allergic to goose feathers. Natural latex contour organic bed pillows are excellent alternatives to conventional memory foam. They contour to your neck and provide soft to medium support. Latex pillows are molded in a kidney bean design, and because they are made of natural latex, they can resist dust mites and ensure a more comfortable slumber.